Χάρη στην ποιοτική διαμονή και την άριστη εξυπηρέτηση του Hostel&Information SAMURISE, στην επίσκεψή σας σε Μάουντ Φούτζι θα νιώσετε σαν στο σπίτι σας. Από εδώ, οι επισκέπτες μπορούν να έχουν άμεση πρόσβαση σε όλα όσα η πόλη έχει να προσφέρει. Με την βολική του τοποθεσία, το ξενοδοχείο προσφέρει εύκολη πρόσβαση στους προορισμούς της πόλης που πρέπει οπωσδήποτε να δείτε. Επωφεληθείτε από ένα πλήθος ασυναγώνιστων υπηρεσιών και ανέσεων σε αυτό το ξενοδοχείο της Μάουντ Φούτζι. Κατά την διαμονή σας σε αυτό το υπέροχο ξενοδοχείο, μπορείτε να απολαύσετε τα δωρεάν WiFi σε όλα τα δωμάτια, κατάστημα δώρων/σουβενίρ, ενοικίαση φορητού wi-fi, φύλαξη αποσκευών, ασύρματη σύνδεση Wi-Fi σε δημόσιους χώρους. Το Hostel&Information SAMURISE διαθέτει 14 δωμάτια. Όλα τους είναι διακοσμημένα με γούστο και πολλά από αυτά παρέχουν ανέσεις όπως προϊόντα καθαρισμού, δωρεάν καφές φίλτρου, δωρεάν τσάι, λευκά είδη, καθρέφτης. Εξάλλου, το ξενοδοχείο διοργανώνει πολλά ψυχαγωγικά δρώμενα έτσι ώστε να έχετε πολλά πράγματα να κάνετε κατά τη διαμονή σας. Όποιος κι αν είναι ο σκοπός της επίσκεψης σας στη Μάουντ Φούτζι, το Hostel&Information SAMURISE είναι μια εξαιρετική επιλογή για μια χαρούμενη και συναρπαστική απόδραση. The place is reasonably good. A few minute walk from checking in to the actual hostel (a bit disappointed its not exactly where the page said it is). Otherwise the hostel itself is really nice and quite. Semi-traditional style with good facilities (the Kitchen was unfortunately under renovation during my visit), clean with two showers, free washing machine, no dryer though which is a real bummer. It is about 5mins walk from the station. The location quite easy to find, it is quiet and the room was clean. The staff were also kind enough to allow us to leave our bags with them after we have checked out. We stayed in a double room with a loft bed at Samurise. Turned out to be a single loft bed and single sofa bed underneath so my partner and I couldn't share a bed in the end. Besides that, the hostel was clean, comfortable and warm. It was a quaint little hostel and only had about 5 rooms. Not much of a social scene but guests seemed friendly. Hostel staff were really nice to use on check-in and check out, we hired bikes from them and rode around Lake Kawaguchi (was a huge highlight of our trip and would highly recommend to everyone.) The staff gave us an extra half-hour on the bikes for free. A really good distance from the station as well, easy to walk to and very conveinient. We stayed in the private room which was super clean. Access to the shared kitchen where we could store food and cook. Never a queue for the showers or toilets despite being shared between everyone. The main reception (2 minute walk away) had bike rentals and staff were happy to assist with tourism and travel questions. 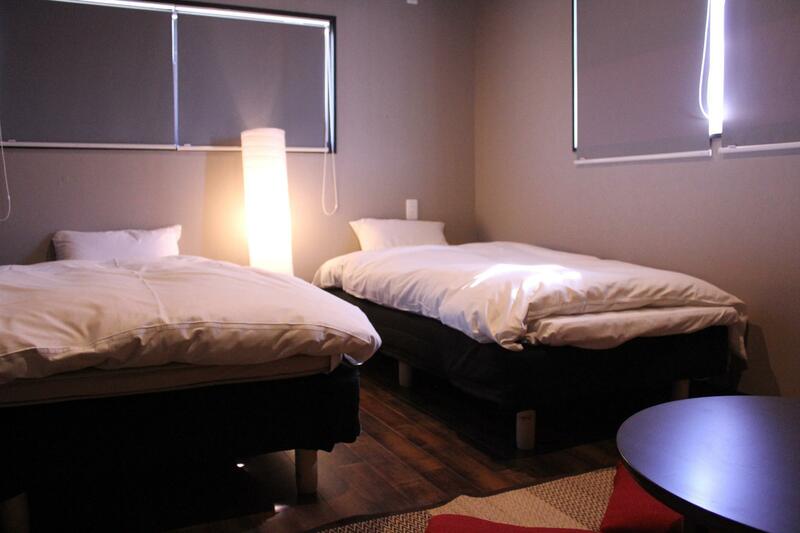 The hostel also included tourism info include nearby restaurants and train times. I had a great stay here. It's a nice place for backpackers. 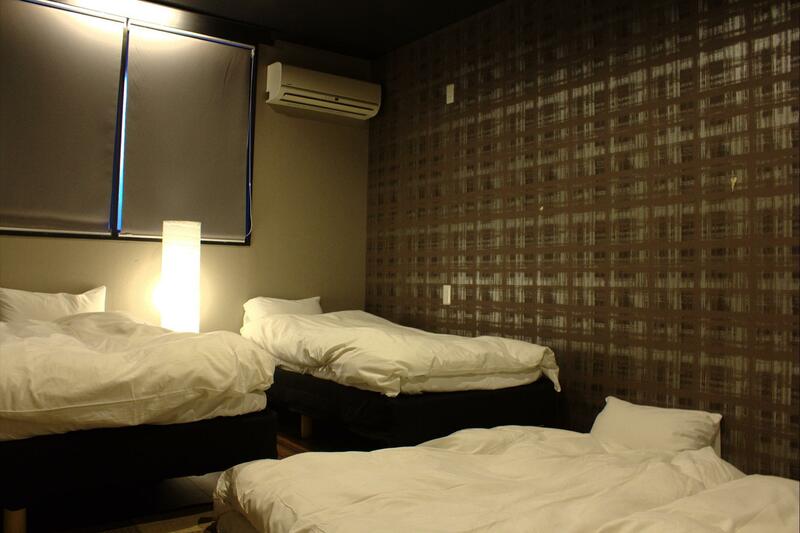 Tho more expensive compared to other hostels in JP, it was the cheapest I could get in Kawaguchiko. The lounge is so comfy! Lurve the traditional feel. And it was a plus that it's near the station. Please note tho that the reception is not at the hostel itself. It's located in front of the parking lot. (Almost missed it, as well.) Plus, shower rooms are available only at specific times. The hostel is very near the train station. If you stop at visitor information center upon arriving, they will give you a map to the property. The hostel staff is very friendly. I enjoyed my stay and would definitely recommend it to other travelers. agoda pics of the room seemed like it was Japanese style room with tatami floor, but I was given a small room with a bunk bed. Room was pretty small, but its expected. How is located in a quite residential neighborhood that I liked. But either Agoda needs to update their information correct about this room or hotel needs to provide accurate information to agoda. Anyways, I wouldn't say it was bad, but I was expecting something else. But location is perfect, 5 mins walk from the Kawaguchiko station. We even walked to Kawaguchi lake. If you are going to Chureito Pagoda and sight seeing around Kawaguchiko Lake, this is a great place. The facility looks new and well maintained. Friendly and nice staff. Just make sure to reach before 8pm for check in. It was difficult to find when their office is closed. It took us 1 hour to find, we did get help from a nice uncle but we just got lucky to find him. The staff was friendly and helpful . We stayed there only one night for transiting to Tokyo. The location is easy to find and close to Kawaguchiko station which the center to explore attractions along the blue, green and red line sightseeing bus and other train-based destination like arakurayama sengen park. The staffs are friendly and helpful. The bunk bed need to be repaired and renewed as well as the bath room. There are only two toilet for 21 guets and you can only use the shower between 08.30 - 11.00 AM and PM. They also have rental bike service with lower price compare to other rentals. The place has a great location, just a 5 min walk from the station. It also has an affiliate dining place called Mt. FUJI BASE (you can google it) which is a life saver during the late afternoon and night, since everything closes at 5pm and it's hard to find a place to drink or eat nearby after that hour. 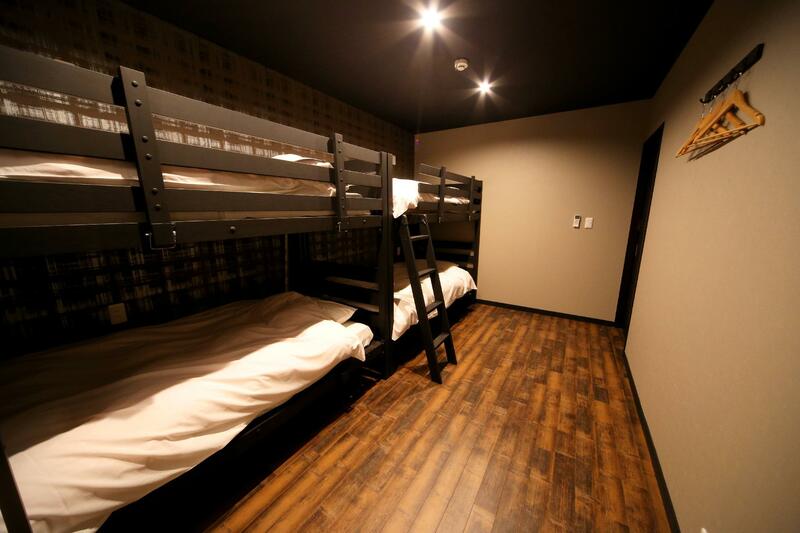 The place is a little small but it has everything your need, the bunk beds have a curtain for privacy and the stairs are not uncomfortable to step on(crucial for me). The common area is cozy and it has several pamphlets and coupons for the area. I recommend making a reservation for Yurari Onsen which has a free shuttle bus and it's amazing (entrance fee is 1,350 yen). The staff is so kind and they make sure you are having a good time and they give you recommendations and help you with what they can. The place has a great view of Mt Fuji when it's a clear day too and it's not hard to find. We had a great time at Samurise and really enjoyed chatting with the staff and other travelers. The location was ideal and you could see Mt. Fuji from the back area outside when the clouds parted. We would definitely stay there again if we are ever back there again. The place was very beautifully decorated, lounge was comfy (you can sit by a heater! Sooo comfy during winter), bed was comfy, curtains can be drawn if you want privacy, staff very helpful with all your questions as well! 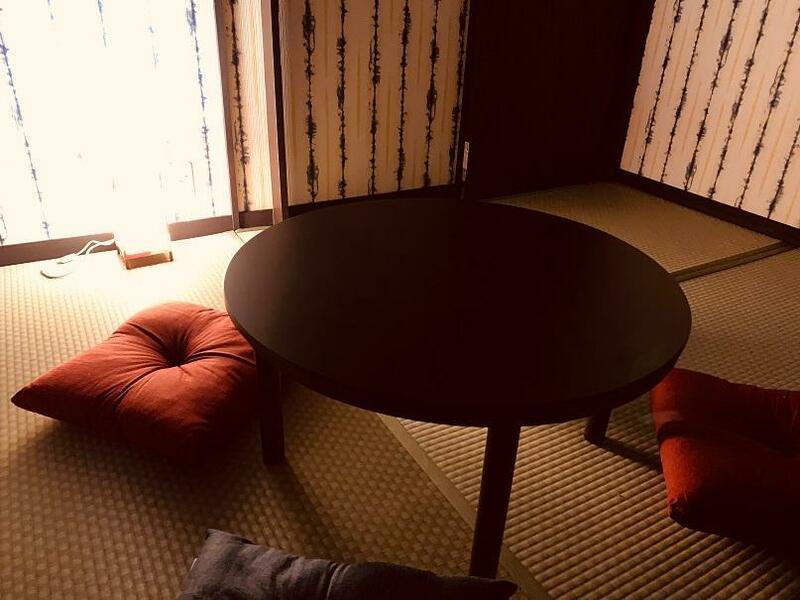 good location,nearby railway station.could see fuji mountain clearly.has good mountain bikes.nice tourists lived there ,not crowdy,we talked to eachother in living room.this hostel maybe was not the best decoration in Japan,but gave me the best feel to live there. This place is so welcoming, and ticks every box. It has a great location right by the station, it's very clean and provides exactly what you need. 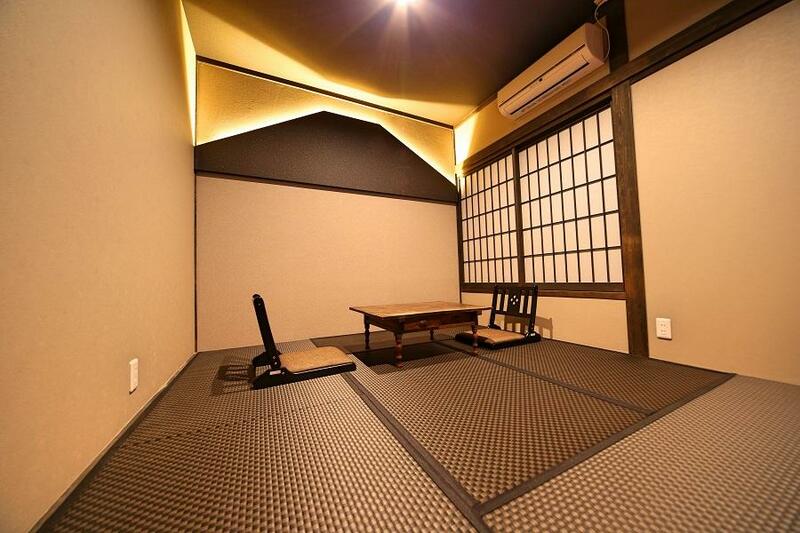 The kitchen is very well equipped and the living space is in the typical Japanese style. Wifi available throughout, bikes to rent and lots of advice but most of all the most friendly and funniest staff! You'll feel very at home and be happy to stay a few extra nights!